Choosing a right canister vacuum cleaner for yourself is not an easy task especially if your house has different floor types and animals. 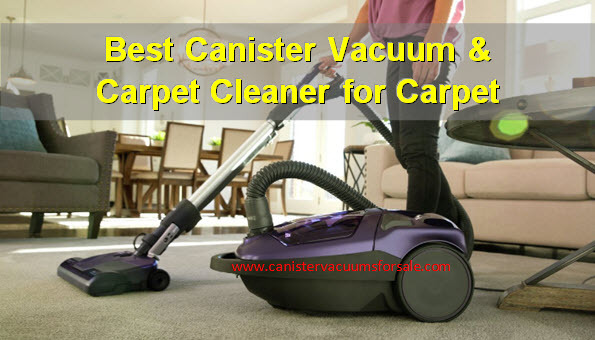 However, through our experience reviewing so many popular vacuum cleaners in the market today, we will be able to tell you the most reliable canisters if your house has many carpets rather than hard floors. 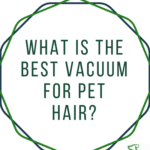 Of course, every vacuum is designed to clean your house no matter it contains hard floors, carpets, tile but some models are specially designed for carpet, pet hair, etc. 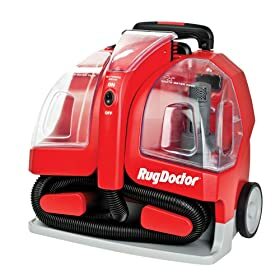 In this article, we are going to reveal the most reliable canister vacuums and spot cleaners for cleaning the carpet with different price ranges. For a quick comparison, I suggest you see the top canister vacuums comparison chart here. All the cleaners in the Miele S6 series belongs to the middle to expensive vacuums with excellent performance. The S6270 Onyx model is good for smooth surfaces and low pile carpet. 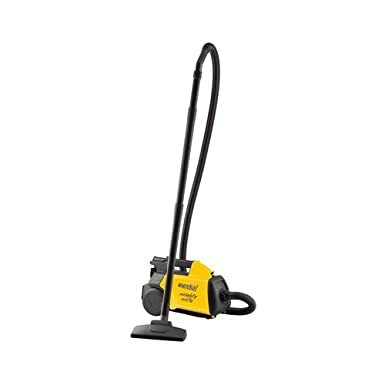 The powerful cleaning ability of this vacuum makes it score very high rating from real customers that used the cleaner as you can see in the online stores like Amazon and Walmart. It’s lightweight with powerful 1,200-watt Miele-made vortex motor. AirClean Sealed System effectively captures 99.9% of dust and allergens. It uses AirClean FilterBag, Type G/N with FilterBag change indicator. The Air Clean dust bag also comes with dust bag change indicator. Six power settings with the adjustable controls via rotary dial ensure the correct level of power for different surfaces. Silence motor with motor protection function lets you use the vacuum even at night. It has a standard ergonomic handle with a durable non-electric hose. The telescopic stainless steel wand delivers superior cleaning radius of 33 ft.
Long power cord with one-touch cord rewind feature. Standard floor tools included Turbo Brush (STB 205-3) and Parquet Twister (SBB 300-3). Onboard accessories: Dusting brush, upholstery tool, and crevice nozzle. It has 1-year parts and labor warranty; 7-year motor and casing warranty. For more info, read the customer reviews and get the canister vac now, click here. This is the best seller canister vacuum at Amazon.com (Canister vacuum cleaner category). It’s cheap and very affordable and suitable for all types of floor including carpet. This canister vacuum can pick up dust and pet hair easily. A simple bagged canister vacuum that does not use the filter and hence not very good for those that suffered allergies and asthma. It’s a lightweight, powerful 12 amps motor canister vacuum. It works great on carpets and low pile area rugs. It has 2-setting height adjustments for bare floor and area rug cleaning. The 20 ft cord is just average in length, but it eliminates the needs to keep re-plugging while cleaning small rooms. However, the cord rewind is not available. An easy empty dust bag comes out easily for a non-mess clean. Use the attached blower port to blow debris from the workshop or garage. Accessories included are extension wands, bare floor brush, crevice tool, and dusting brush. 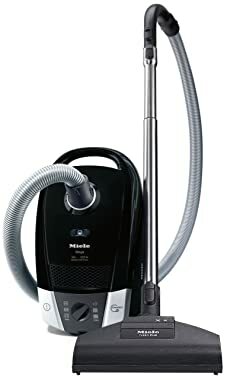 Visit here for full review of Eureka 3670G Mighty Mite and to check out the latest price of the vacuum, click here. 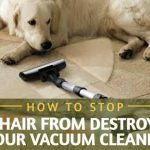 When dealing with carpet, I believe some housewives prefer spot cleaners than canister vacuum because most of the spot cleaners are specially designed for cleaning the carpet. Please note that the spot cleaner is different from steam cleaner/mop. The following two models are very effective in cleaning the carpets. Compact design with carrying handle let you easily carry from one place to another and for easy storage. No assemble needed, just add hot water and 2-ounces of the included cleaner, and you are ready to go. Superior suction that able to remove the dirt and stains on the carpet rugs, upholstery, and auto. Larger storage and recovery tanks capacity and the tanks are removable to fill and empty it easily. The ability to thoroughly clean the recovery tank is another great feature. It has 5-feet flex hose helps to reach more areas and long 22-feet power cord but cannot rewind itself. Two attachments included: 3″ tough stain tool, 6″ stair tool and 8oz Professional Deep Cleaning formula. Watch the following video to see how you can benefits from this cleaner easily. 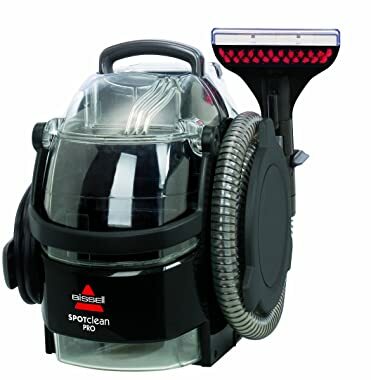 Click here for more info and check the price of this Bissell portable cleaner, 3624. Quick start cleaning by just filling the water on the water tank and you’re ready to go. This portable spot cleaner has a magnificent 10 amps motor power in suction. Powerful handheld oscillating motorized brush for effective stain removal. It has 15′ power cord but it cannot auto rewind so have to wrap it under the cleaner. Easy to use and carry with the retractable handle. Easily removable tanks for quick filling and emptying. It has 5.5-feet flex hose, and 15 ft power cord and the cord is not retractable. It also has two carpet-friendly wheels for superior maneuverability. 2-year labor and parts warranty. For more info and check out the latest price of this cleaner at Amazon, click here. Most of people used canister vacuum cleaner because it’s service, usability, quality and more things. I hope this meaningful content make easy our decision which is the best canister vacuum better? It was great content for me as a canister fans.